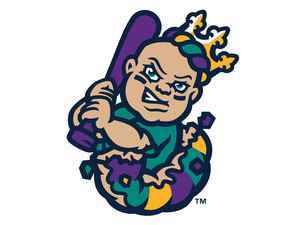 New Orleans Baby Cakes ticket donation can help raise some money for your organization. Fans and sports lovers won't want to miss this event! 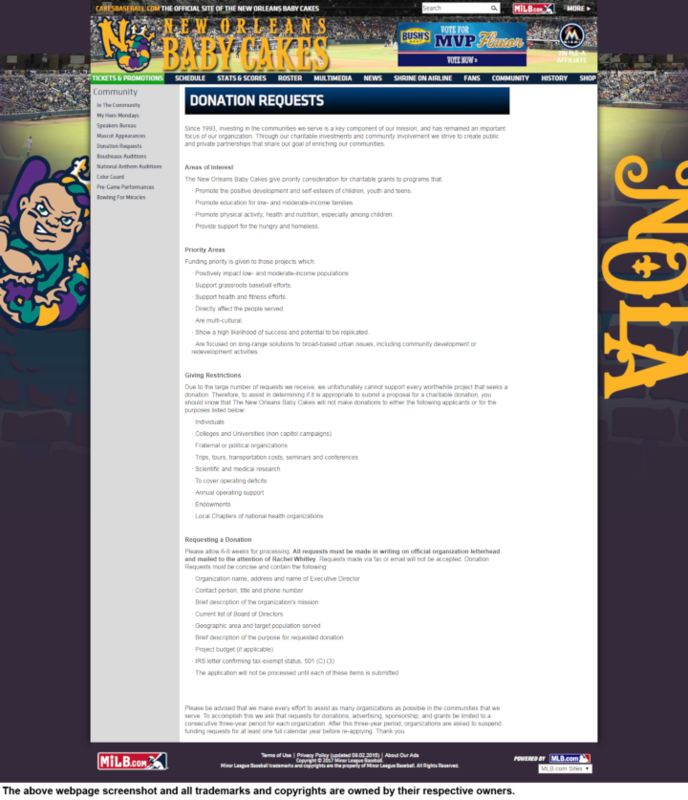 Read more about how your organization can qualify for and use a donation from New Orleans Baby Cakes, or click here to find and solicit more donors like them! The New Orleans Baby Cakes create public and private partnerships that share their goal of enriching our communities. Since 1993, they have been serving the community. �Promote the positive development and self-esteem of children, youth and teens. �Promote education for low- and moderate-income families. �Promote physical activity, health and nutrition, especially among children. �Provide support for the hungry and homeless. If you meet all their guidelines, you can submit your donation request in writing on official organization letterhead and mailed. Please allow 6-8 weeks for processing.Please note that requests made via fax or email will not be accepted.